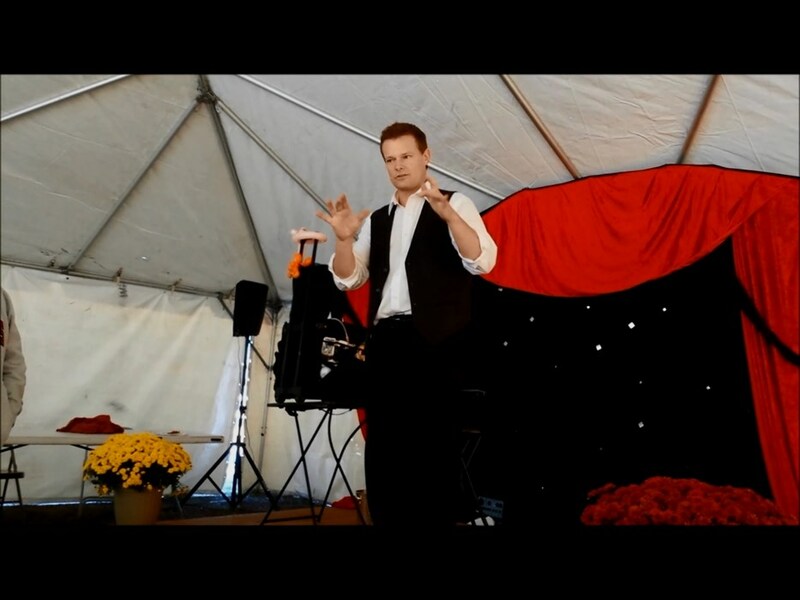 You will see first class magic and comedy! Jonathan has 26 years experience. We recenlty hosted our Edward Jones Summer Regional Meeting in Oklahoma City and hired Jonathan for an after dinner enterainer. When I spoke to him before the event he was committed to customizing the experience to fit our needs. He arrived early, was professional and courteous. He far exceeded our expectations. He was a outstanding magician and comedian. The adults absolutely loved him! He was able to entertain them all while keeping it clean for the younger audience. He is a true professional and splendid entertainer!! There isn't enough space here to say how awesome Jonathan was to work with at our Jr./Sr. After-Prom Party! From the 1st phone call until his performance was over, Jonathan was absolutely wonderful! He accommodated our crazy schedule, was completely self-sufficient (great backdrop, PA system, etc) and was an excellent communicator leading up to the event. And his performance FAR EXCEEDED my expectations! In fact, after several days Jonathan was still the talk of the town. 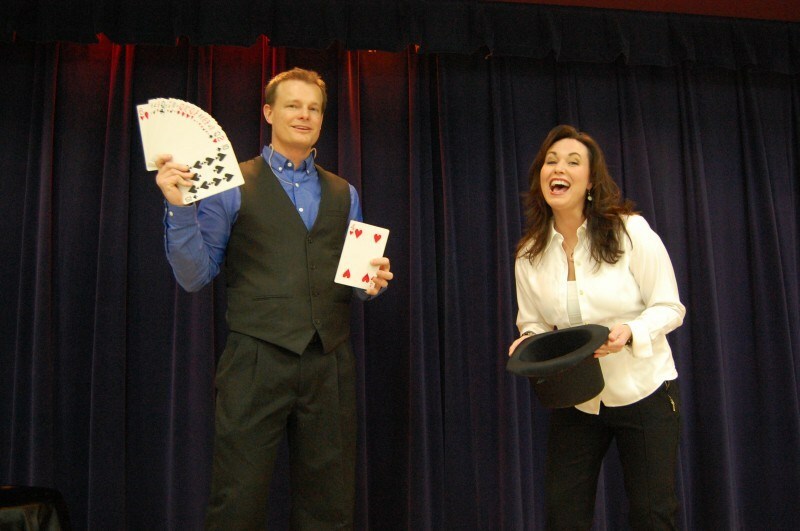 Both students and adults were amazed with the magic tricks he performed. I'm not the type to write a review and this probably sounds too good to be true but Jonathan is really that good! Jonathan Meyer is a splendid entertainment choice for high school prom.Our entire experience was delightfully enjoyable.The audience, a mixture of sixteen-year-old and up were very entertained.Students' comments for this review. “. . . fantastic entertainer!,” “. . . amazing, excellent, and unbelievable, or should I say, believable,” “. . . good at tricking the mind,” “He kept me entertained the whole show!,” “His tricks were flawless . . .,” “. . . a great magician and a hilarious comedian,” “I had quite an amazing time,” and “I would love to have you back next year.” High school students can be a difficult audience to entertain, but Jonathan did so and did it well! Amazing and halarious. Simply the best slight of hand magician I have ever seen. He is charasmatic. The kids love his show almost as much as the adults do. He has an uncandid ability to cater to the best of any crowd. He was hired for our corporate Christmas party and I could not beleive the response. We had so much fun. This led to me hiring him to perform for our baby shower, at our church. I could not believe how well he did with a completely different audience, in a completely different environment. It was a whole different show. This guy is a true professional with more tricks up his sleeve than you could ever imagine. Hired Jonathan for a kid's event at church and he was awesome! Everyone, kids and adults, were highly entertained and enjoyed the show. He was very personable and had both kids and adults laughing and participating. Hope to hire him again! He is absolutely amazing !!!!! You will get more than what you pay for and will not be disappointed .... I will be hiring him again for future birthday party's !!!! Jonathan put on a really good show and even had our usual grumps laughing and having a great time. He knocked it out of the ball park with his performance and would highly recommend him. 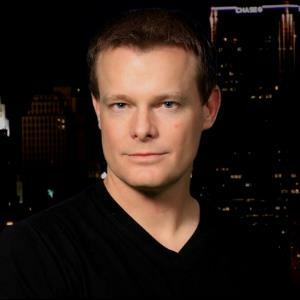 Please note Jonathan Meyer - Corporate Comedy Magician will also travel to Yukon, Bethany, Piedmont, Edmond, El Reno, Mustang, Wheatland, Cashion, Concho, Okarche, Union City, Spencer, Tuttle, Arcadia, Guthrie, Kingfisher, Minco, Newcastle, Nicoma Park, Jones, Choctaw, Crescent, Calumet, Norman, Dover, Amber, Luther, Harrah, Blanchard, Meridian.